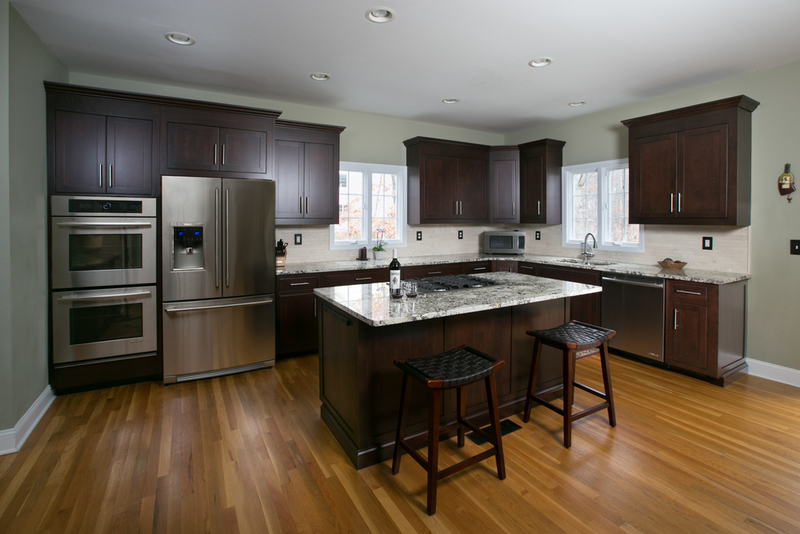 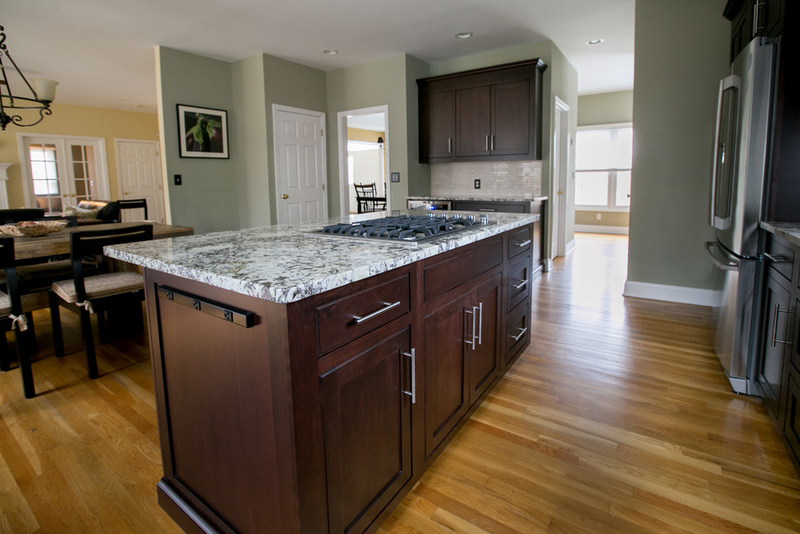 We had previously remodeled this client's kitchen several years back, and when they moved to a new home in Monroe CT, they called us to transform their new space! 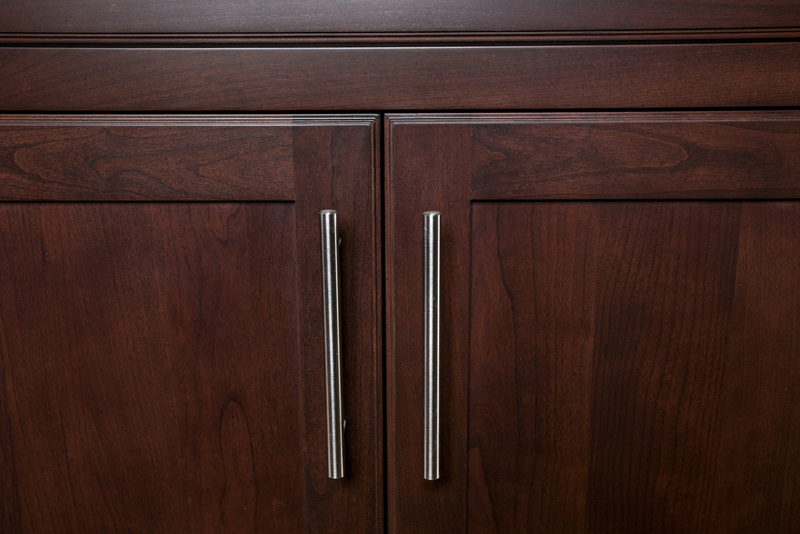 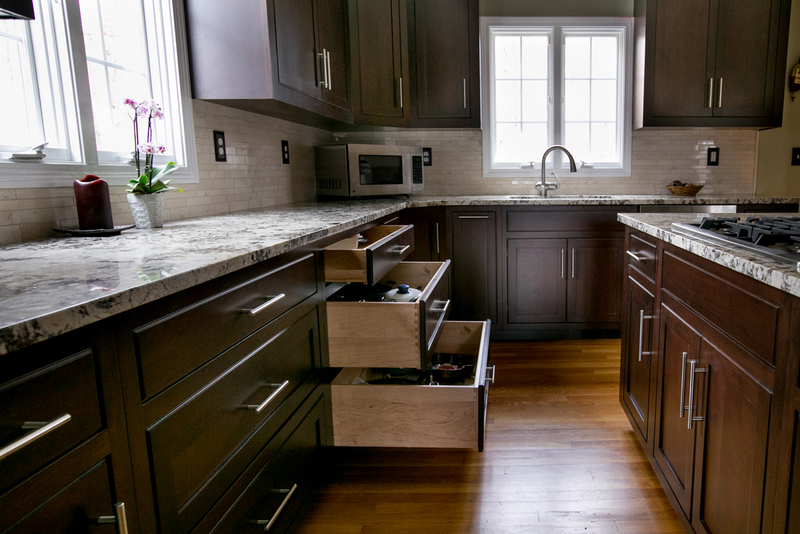 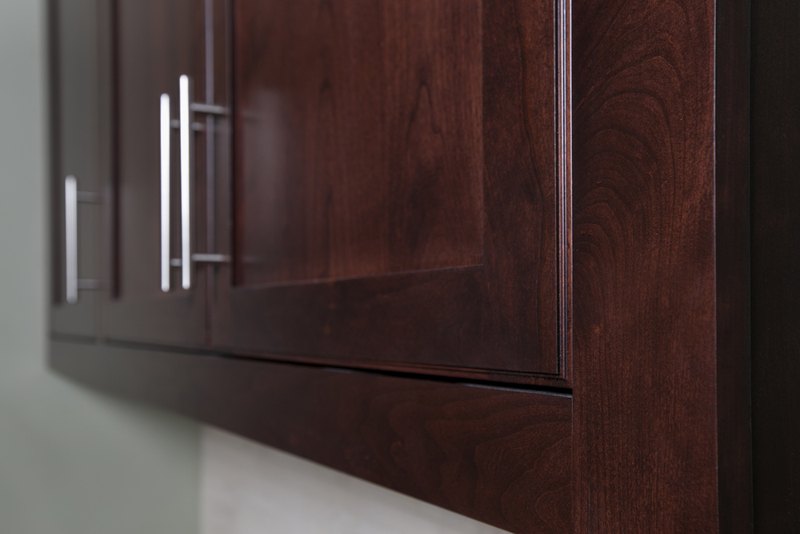 Instead of ripping out the quality builder's cabinets, we designed and installed new custom solid cherry doors, wainscot island panels, drawers, mouldings and trim in a rich espresso stain. 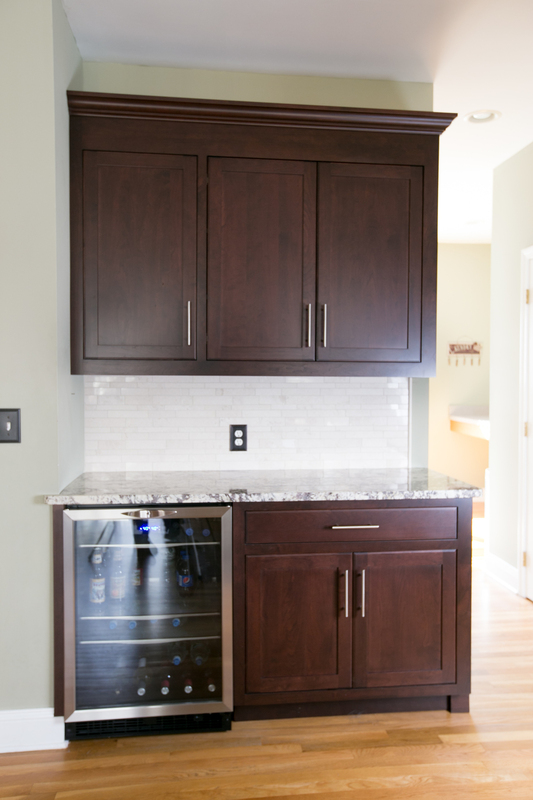 In addition to new appliances and countertops, we re-built the bar area to accommodate a wine fridge and optimized storage in the island.